Today is the day. I don’t know why, but it is. Wednesday, February 15th will be the first day that I share with “the world” my journey towards My Personal Truth. Sounds deep right? I suppose it is kind of deep, since it encompasses so many things. The truth about things I’ve learned. The truth about food. The truth about the world we live in. The truth about myself and the little girl that lives inside of me. It has been a struggle for me because I have wanted to “journal” many things, but wasn’t sure if I should do it in such a public way. Fear. Fear of being judged, fear of people thinking I’m crazy, fear that my friends won’t like me anymore. I read a quote by Dr. Seuss (of all people), “Be who you are and say what you feel, because those who mind don’t matter, and those who matter won’t mind.” I have so many amazing people in my life, so logic tells me that my fear is unfounded. But, then again, fear is one of the biggest barriers to anything in life (and it usually is unfounded right?). So I am going to share the things that I’ve learned about the world, and food, and myself. And, I’m going to share it right here on my blog because I have always wanted my clients and my friends to know who I am, and hopefully they will love me for it. With some more inspiration from Dr. Seuss….. here goes…..
Back in July of last year, I read a book called “The Unhealthy Truth” by Robyn O’brien. It changed me. At first I wondered it if was a phase I was going through, and maybe I would forget all that I had discovered. But now I know that it was only the beginning of a journey for me. Since then I have continued to research, read, watch documentaries, and become an advocate for change. Our food system needs to change. I believe that. I want to scream it from the mountaintops. But, back in July I was so completely overwhelmed by the information, and paralyzed with fear about all that I had learned. It’s still scary and depressing, but I have the power to make better choices for myself and my family. And now I make those choices every single day. It feels good. I have the power to change something, I’m just not sure exactly where it will lead me. Bottom line, our food is contaminated with GMO’s (Genetically Modified Organisms) along with multiple pesticides and toxic chemicals. This is not my opinion, this is a fact. It’s not the same food that our parents fed to us, because GMO’s were introduced into our food supply in the mid 1990’s without a public announcement, or a requirement to label them so people could make an educated choice about consuming them. So the topic of my first “My Personal Truth” post is the difference between Natural and Organic. The term “natural” is unregulated and it can mean whatever a company decides. The term “organic” means: Foods that are produced using methods that do not involve modern synthetic inputs such as synthetic pesticides and chemical fertilizers, do not contain genetically modified organisms, and are not processed using irradiation, industrial solvents, or chemical food additives. AND, the term Organic is REGULATED by the government with strict standards. The funny thing is, back in old days, that’s how all food was produced, so it didn’t need to be called Organic. A funny story…. I was pouring some milk for my kids and someone (they will remain nameless) commented “I don’t drink that organic stuff, who knows what’s in there.” I had to laugh! It’s really about what’s NOT in there! 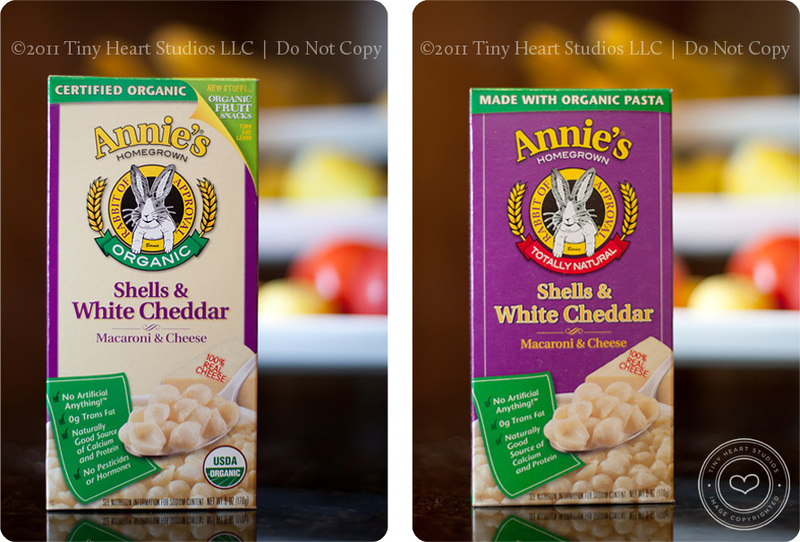 Consumers are confused about “natural” verses “organic,” and rightly so. The words are used interchangeably on many products. Plus, many companies that started out producing Organic products are switching (due to cost, regulations, profits, etc) and now they are making “natural” products – at a PREMIUM price. They have already built consumer trust in their products, and many people do not know or understand the difference. And guess what! Even though these companies are no longer producing the Organic foods they started out with, they are charging a premium for so-called natural foods, that really are not natural at all (if you follow the food chain). And consumers are paying that premium because they think they are buying something “more healthy” for themselves or their family. In fact, several market research studies have shown that the majority of Americans believe that “natural” means the absence of Pesticides, Herbicides and GMO’s. AND, more people value the “all natural” label over the “organic” label. You can see the independent studies here on Page 10. My message – don’t be fooled by claims of “all natural” and DON’T PAY EXTRA FOR IT! I choose USDA Organic foods anytime I have a choice. That means I’m sending a message with my money that I want REAL food, and I’m willing to pay extra to NOT have GMO’s, pesticides, toxic chemicals, and other un-natural stuff in my food. Whew!!! It felt good to write all of that down! Am I still scared people will think I’m crazy? Maybe, just a little, or a lot. But, that’s okay. We all have a few crazy friends right? Katie – Thanks for the info! This was great- and I actually was the confused consumer the other day on the exact 2 products you highlighted. I am trying to learn more about the “organic” food world these days to and appreciate you sharing insights you have learned in a very direct format that makes it easy to understand at least one practical shopping aspect when going for healthier options for my family. Allyson – Nicely done, Crystal. This is an important issue that consumers really do need to understand. You have clearly done your homework and you did a great job bottom lining it without getting into the many details that sometimes make reading about GMOs, pesticeds, etc. overwhelming and confusing. I for one appreciate that you have spent so much time researching this and have opened my eyes to a new kind of label reading which has definitely impacted many of my food purchases. As youy know, I have always been a big advocate of eating REAL food, but this takes it to a whole new level when you have to worry about seemingly real/healthy food that has been produced with these methods. Keep on sharing! Karina – It’s great to talk about all of this, and not crazy at all (or, at least it’s MY kind of crazy). Not only are we putting all of this crazy, toxic stuff into us, but we’re putting it into the ground and the rivers and the air. Every time we buy something organic is a step away from that. Love to you, and thank you for trying to care for us all! Lisa Phillipson – It is terribly upsetting and overwhelming that it has to be so hard to obtain real food. It seems like everything available is bad for you somehow. I have always thought the natural labels were such a bad trick – tricky advertising or what I like to call LIES. liz – Hey, ‘crazy’ is subjective, right?? I think this was great: articulate, pretty succinct, and made a good point to me, namely that the food is NOT what we grew up with. I really didn’t understand how relatively recently all the bad stuff was introduced! So long to the argument about “hey, we ate this and have survived!” Keep putting yourself out there, FRIEND.